The cigar up for review tonight was generously sent to me by fellow BOTL Steve Valle (@SteveVlilo on twitter) of smokingstogie.com fame. If you don't know about SmokingStogie.com or haven't visited in awhile, I suggest you head over there and check it out right after you read this review. 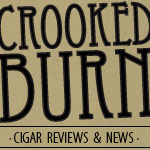 Brooks and Steve have one of the best (and in my opinion THE best) cigar review sites on the web. Keep up the good work, guys. There isn't much info to be had around the web on this specific cigar, so I emailed Eddie Ortega (@eddieor on twitter), co-owner of EO Cigars (the makers of 601), for some details. to accompany a book signing by Roberto Martin Perez. Mr. Perez was a long time political prisoner in Cuba before finally being released and seeking asylum in the US. 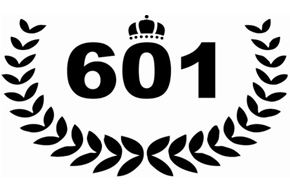 We wanted to commemorate the occasion by making something really special for him, he loves the 601. We only made 364 boxes and were only available at Sabor Havana Cigars in Miami, don't even know if they have any left. The cigar was made at Pepin's factory. Is really a great cigar. Thanks for responding to my email Eddie and thanks for the info. The cigar looked great so I was stoked to light it up. The 601 Macho had a medium brown, very natural-looking tobacco wrapper. The wrapper did have quite a lot of veins, but all were small enough that they posed no problem to the burn. Squeezing the stick, I could tell it was evenly packed and not too tightly bunched, as it had a nice subtle give to it. The unlit aroma was surprising strong, smelling intensely of cedar with hints of black coffee. The cap clipped easily and the cold draw tasted very sweet. I would describe the flavor as raw/brown sugar. The second third of my 601 Macho had that previously-mentioned coffee flavor really pick up. Unlike the pre-lit aroma, where it was more of a black coffee note, this flavor was blending evenly with the sweetness on the finish to create a coffee with sugar taste. The cedar notes were still very strong on the front of each draw, but it was the finish that really had me smiling. The flavor sounds simple when I read my notes, but remembering the smoking experience, it was quite complex. Another nice change-up from the first third was that the texture of the smoke became very creamy. The first third was not dry or anything to be upset about, but the smoke in the second third was obviously much richer. The body was still a solid medium and the burn was great. 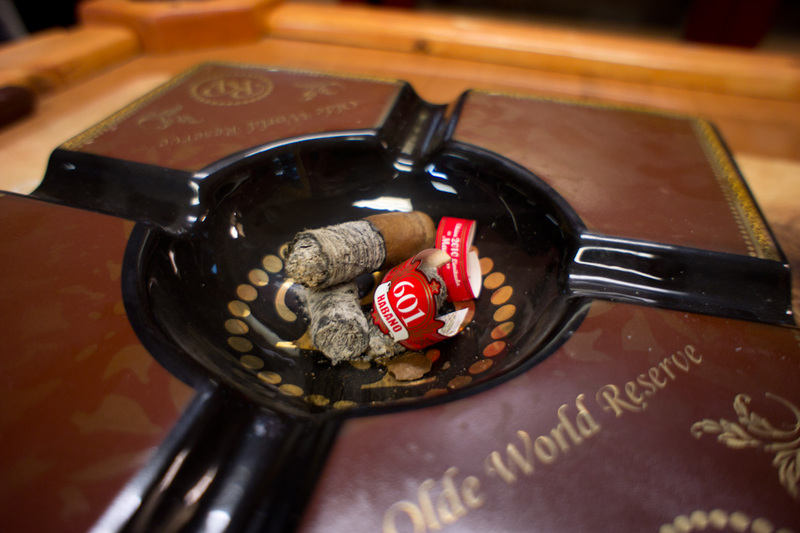 The final third was an absolutely pleasurable smoking experience. The coffee and sugar flavors that were only dominate on the finish until now, started to keep into the strong cedar notes on front of the profile to make a very interesting taste. I can't describe it exactly, but imagine making a pot of sweetened coffee over an open wood fire and maybe that smell is similar? I'm not sure if that's it, but what I'm sure of is that I liked it a lot. Towars the nub of the cigar, some of the spice I had picked up at the start came back into the mix, but it was not for long as I was almost near finger burning zone by then and had to put the stick down. The body was exactly the same for the entire smoke, in a nice relaxing medium range, and the construction was top notch and had zero problems. My final thoughts on the 601 MACHO Edicion Limitada? This cigar had amazing flavors that really kept my interest from start to finish. The further I burned into the stick, the creamier the smoke became and the more relaxing and enjoyable the experience got. I was bummed when this stick had to be put down because it is the only one I have and I'm not sure if I will be able to get more. I like a 601 cigar every now and then to mix up my rotation of everyday smokes. I have smoked all of the lines and I have to say that this stick is the best of them all. Figures it's the limited release from 601 that I like the best, but maybe if enough people try this cigar and speak out about it, we'll get a larger re-release. Would I buy it again? There is not one bad thing I could say about this cigar, so given the chance I would absolutely buy more of these sticks. If I can't buy them, I will be looking to some more BOTL for trades. Would I buy a box? I'm not sure what the price was on these, but if the price was right, these are 100% box-worthy. They were $8.00 at Sabor Havana Cigars in Doral, Florida. I bought 3 boxes of these.They are one of the best cigars I ever had.The price point is stellar at $8 each.Your review was spot on.